Investors are exposed to financial risk in two ways: company-specific risk or market risk. Long-term investors can virtually eliminate exposure to company-specific risk by diversifying among many different securities in the same asset class.1 Market risk is managed — but not eliminated — by holding investments in several different asset classes. Both types of risk may also be reduced by employing “hedge” strategies that provide temporary protection against market volatility. If your investment portfolio is concentrated in a few stocks, consider developing a long-term strategy to build a more diversified portfolio. You may also consider hedging specific holdings in order to reduce the risk of underperforming the overall market. Strategies that are readily available to individual investors include put and call options, equity collars, and prepaid forward contracts. Options are not suitable for all investors. These instruments allow investors to protect the current market value of a stock position. In considering hedge strategies, it is important to be aware of IRS rules — including straddle and wash sales rules — that may affect your tax situation. Consult a qualified advisor to determine how these rules may apply to you. A put option is a contract that grants the purchaser the right to sell the underlying asset at a set price (the strike price) on or before a fixed date stated in the contract in exchange for a fee, or option premium. By purchasing a put option the investor is protected against a price decline in the underlying security, but still participates in any price appreciation in the stock. Generally, put options lose value if the stock price moves above the option strike price and gain value if the stock price falls below the strike price. If the stock price is below the strike price on the option expiration date, the investor may choose to either sell the underlying stock, which may trigger unwanted tax consequences, or receive the difference between the strike price and the market value of the stock price in cash. A call option is the mirror image of a put option — giving the purchaser the right to buy the underlying stock at a predetermined strike price. Option contracts are traded on NYSE Euronext and the Chicago Board Options Exchange (CBOE). Most options are short term, expiring in less than one year. Long-term Equity AnticiPation Securities (LEAPS) are longer-term options with terms of up to three years. An equity collar is a combination of a put option and a call option. By purchasing a put option with a strike price that is 10% to 20% below the stock price and simultaneously selling a call option with a strike price that is above the current stock price, the investor “collars” both upside and downside exposure on the underlying stock position. In addition, the option strike prices may be selected so that the premium paid on the put is exactly offset by the premium received on the call. An equity collar may be constructed by purchasing individual options on an exchange, or by entering into an “over the counter” contract with a financial institution. An advantage of over-the-counter contracts is that they can be custom tailored to the individual investor’s needs and preferred time period. Another type of over-the-counter contract, a variable prepaid forward, is an agreement to sell all or some of the underlying shares of a security at a future date, and at a price to be determined on that date, in exchange for an up-front cash advance based on the current value of the security. When the contract expires, if the share price of the underlying security has fallen, the investor may be required to sell the stock to repay the contract amount. If the shares have appreciated in value, the investor may be required to sell only the amount of stock necessary to repay the contract. Or the contract may allow the investor to “cash settle” the contract and retain the underlying shares. These contracts are “over the counter” options that are available only through financial institutions. Variable prepaid forwards are typically structured to eliminate downside risk while providing some price appreciation potential that, if realized, may compensate the investor for capital gains taxes incurred through the eventual sale of the stock. Given that the up-front payment may be less than 100% of the current value, and the shareholder will be required to deliver shares to the dealer/counterparty to complete the sale, the shareholder risks losing the value between the prepaid amount and the current value of the investment. Is the stock publicly traded? Does it have a market capitalization of greater than $500 million? Does it have a price of more than $20 per share? Is the average daily trading volume more than 100,000 shares? 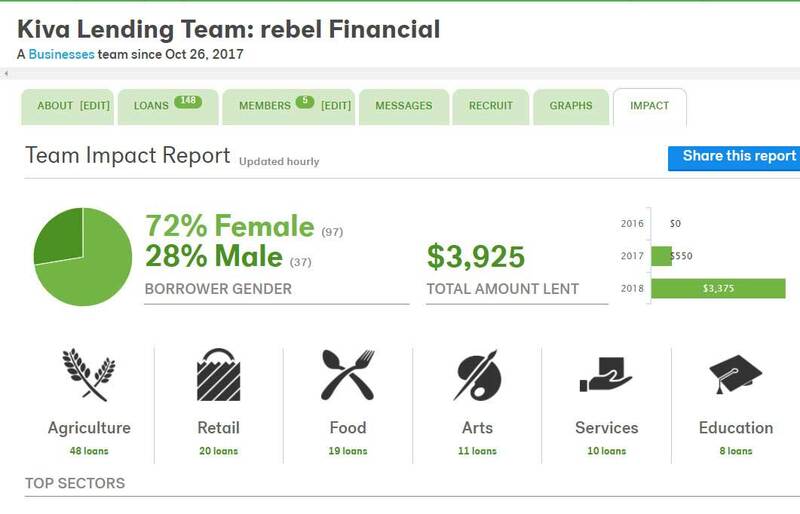 Is there institutional interest in the stock? Does the hedged position represent less than 5% of tradable outstanding shares? Does the stock have an established trading history? The market risk associated with an individual asset class may be reduced by allocating a portion of the portfolio’s assets to other types of investments that tend to react differently to economic and market events. “Correlation” measures the tendency of different investments to move together. A correlation of close to zero indicates that two investments are largely independent of each other. The accompanying table shows the correlation figures for different asset classes over the past 15 years. Some alternative investments, such as real estate investment trusts and mutual funds that employ “market neutral” strategies, also have low correlations with stock market returns. This table illustrates the correlation between different types of stocks and bonds. Two investments that have performance that moves in perfect tandem have a correlation of 1.0, while two investments that always move in opposite directions have a correlation of -1.0. Large-cap stocks are represented by the S&P 500; small-cap stocks by the S&P 600 SmallCap index; bonds by the Citigroup Broad Investment Grade Bond index; convertible securities by the Merrill Lynch U.S. All-Convertible Securities Index. Individuals cannot invest directly in an index. Past performance is not a guarantee of future results. Data is based on monthly total returns for the period from January 1, 2010, to December 31, 2014. These days, increasing numbers of investors are holding concentrated positions in one security. For those who may not want to sell the asset, but are uncomfortable with such an underdiversified portfolio, hedge strategies may be a useful volatility management tool. Company-specific risk can be reduced by investing in a diverse mix of individual securities. One study suggests that at least 50 different stocks are required for adequate diversification. 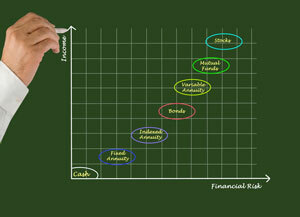 Market risk is managed by investing in several asset classes. Combining asset classes that have a low correlation can potentially reduce the overall volatility of a portfolio. Hedge strategies may be used to temporarily protect against market volatility. They may also result in tax consequences. Consult a qualified professional to determine how IRS rules may affect your situation. The buyer of a put option pays an up-front premium in return for protection against a decline in the stock price. An equity collar is constructed by buying a put option with a strike price lower than the current market price of the stock and selling a call option with a strike price higher than the market price of the stock. The collar offers limited downside risk but also limits upside potential. The premium received on the sale of the call offsets some or all of the cost of the put. A prepaid variable forward is a contract in which the investor receives a cash advance of up to 100% of the current market value of the security. The investor has little downside risk on the position and may retain some upside potential. Prepaid variable forwards usually require the investor to sell the stock upon termination of the contract. 1Diversification does not ensure against loss. 2Source: “Stock Diversification in the U.S. Equity Market,” by H. Christine Hsu and H. Jeffrey Wei, 2003. 3“Short selling” is a strategy that involves selling something that you do not already own. Short selling is extremely risky. Be cautious of claims of large profits from short selling. Short selling requires knowledge of securities markets; requires knowledge of a firm’s operations; and may result in your paying larger commissions. Short selling on margin may result in losses beyond your initial investment.